It's a hard thing for us dog lovers to admit, but… the cat totally won this battle of the species. 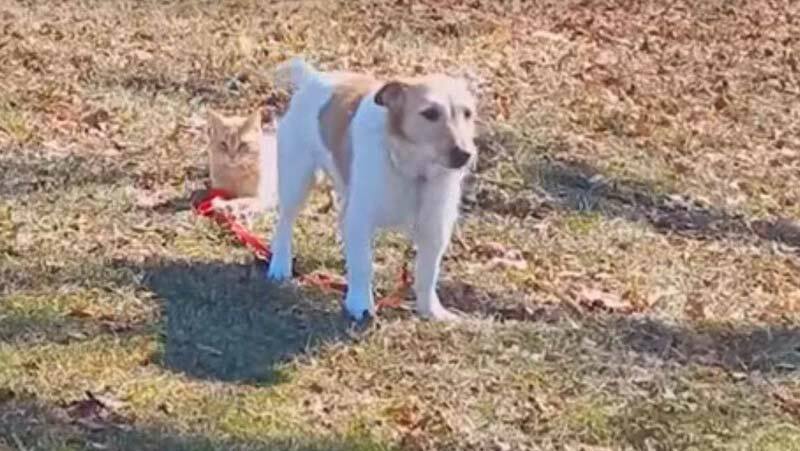 Sammy, the dog, is trying his hardest to be a good pup and come when called… but the cat has other ideas. After a few attempts to listen, pup sits down in adorable, flustered defeat. And we're pretty sure the cat lets out an evil laugh— did you hear it too! ?